Lera is a second-year dual degree candidate pursing an MPS in Real Estate and Masters of Regional Planning at the Baker Program of Real Estate and the Department of City and Regional Planning. Lera has a passion for transforming communities through the power of real estate. Upon completion of her studies at Cornell, Lera intends to embark on a career in real estate development, focusing on residential and mixed-use projects that have a positive social impact. On Thursday, April 12, 2018, the Baker Program of Real Estate had the privilege of hosting Daniel Zelson, (A&S ’88), for its Distinguished Speaker Series (DSS). Dan is Co-founder and Principal of Charter Realty and Development. Charter is a real estate investment, development, and leasing company that specializes in retail properties. During his visit Dan shared with students about many interesting topics including Charter’s retail strategy, signature projects completed by the firm, and an ongoing project taking place in Ithaca, NY. Dan kicked off his visit over a lunch conversation with three Baker students. During this meeting Dan discussed Charter’s successful value-added retail investment strategy. With this approach, Charter looks for underperforming retail assets that can be repurposed with more profitable uses. In recent years much of this strategy has involved the properties of big box retails such as Kmart and Sears who have been off-loading locations. Students were surprised to learn that profiting off of the value-added retail strategy does not always require purchasing the underlying asset. In many cases, effective arbitrage of the deal can be achieved by simply buying out the leasehold interest of a property. This was eye-opening perspective for many of the students present. Later that day, in an interview with the Cornell Real Estate Review, Dan shared about his experiences as an entrepreneur. His initial foray into entrepreneurship occurred in college when he and classmate Richard Baker devised a plan to open a chain of chicken wing restaurants. After months of meticulous planning and taste testing lots of wings, the plan fell through when the landlord of the retail space they rented for the venture filed for bankruptcy. Dan went on to begin a successful brokerage career at National Realty & Development Corp. but the desire to be an entrepreneur never left. Eventually he and National Realty colleague Paul Brandes founded Charter in 1993. Dan acknowledged that starting out was a challenge. With limited capital, Dan and Paul had to rely on their brokerage background to get the business up and running. Eventually they were able to convert leased spaces into assets that they own and the business took off. Dan credits the brokerage arm of the business for much of their success stating that “retail business is about tenant knowledge.” As a broker, Charter gains unique insight into retail trends that inform the company’s investment and development decisions and give it a competitive advantage over competitors. Over the years Charter has established a reputation for creating iconic mixed-used destinations that serve as community anchors. During the DSS presentation, Dan introduced students to several key projects that have solidified this reputation. 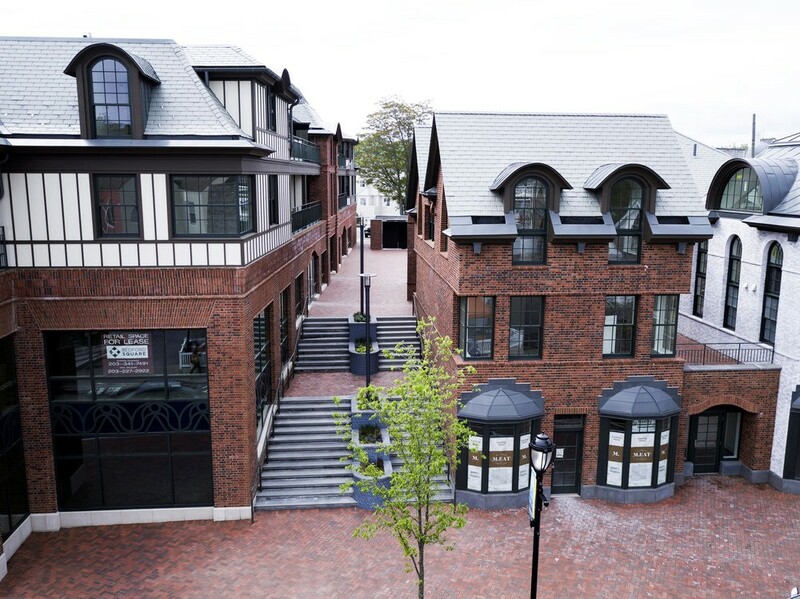 The first project discussed was Bedford Square, a mixed-used development located in Westport, Connecticut. This project took ten years to complete. The development includes ground floor retail with two-story townhomes above. 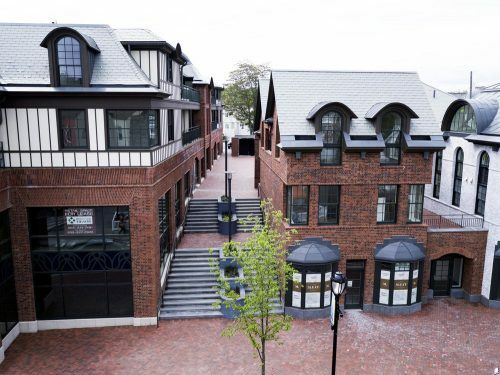 With this project, Charter faced the challenge of providing invigorating programing for downtown Westport while maintaining the historic character of the site. Not only did the project involve complete renovation of the historic Bedford Mansion and Firehouse built in the 1920s, but it also required preservation of the historic Kemper Gunn House. This proved to be a major feat that involved moving the historic Kemper Gunn House offsite, winning a city sponsored request for proposal (RFP) used to award ownership of the house, and subsequently negotiating a $15,000 per year ground lease to locate the property on a city owned parking lot near the Bedford Square site. Despite the many challenges, the Bedford Square development was a tremendous milestone for Charter. The success of the Bedford Square project was a catalyst for Charter’s emergence as a preeminent developer of mixed-use projects in college communities. The Storrs Center development near the University of Connecticut (UConn) in Storrs, Connecticut is perhaps the most well-known in this genre. This project transformed a nondescript strip mall into a vibrant community center. The completed development includes 11 mixed-use buildings containing 626 apartments, 42 for-sale townhouses and condominiums, 139,707 square feet of retail and office space, a 600-car parking garage, and community green space. 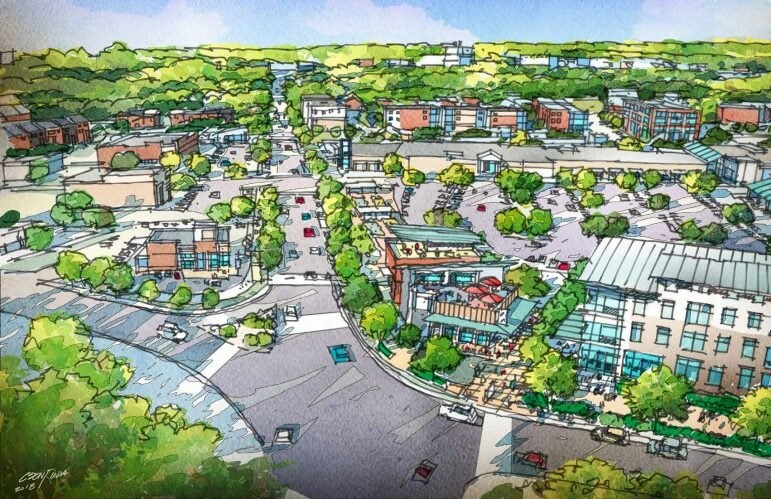 Charter was involved in development and leasing of the retail portion of the development. During the DSS presentation, Dan noted the success of this project was not just tied to the performance of the asset but also drawn from the positive relationships achieved with project stakeholders such as school officials and local government. These success factors have led to Charter working on similar projects at Yale University, Mississippi State University, North Carolina A&T University and most recently Cornell University. The Baker Program in Real Estate truly enjoyed Dan’s visit and is incredibly grateful for the time and valuable insight that he shared with students.